Find the right Florida Renters Insurance policy with Eastern Insurors! 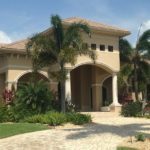 When you live in Florida and rent an apartment, home or condo you should also purchase a tenant homeowner’s insurance policy more commonly referred to as a “Renters Insurance” policy. A good Florida renters insurance policy protects your belongings and provides you with personal liability. Call 888.543.1160 today and let one of our agents discuss your personal needs!